is no need to set a static ip. Once logged into your router click on the "Toolbox" tab on the left. 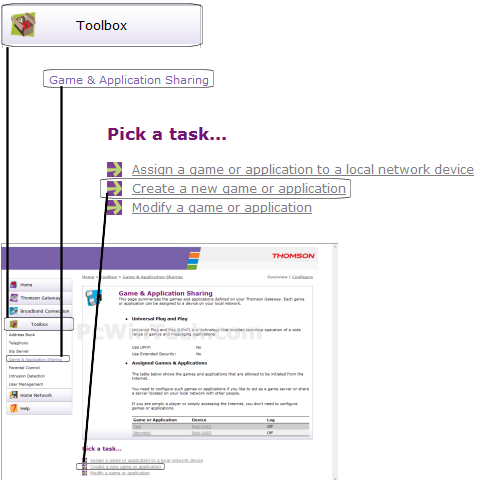 Under "Toolbox" click "Game & Application Sharing". 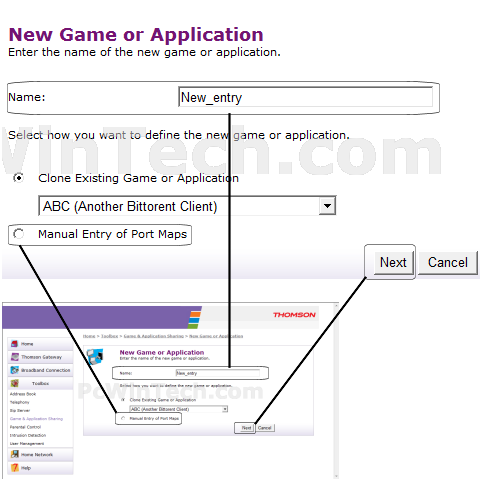 Once the page is done loading click on "Create a new game or application". For Name, give the new rule a name. 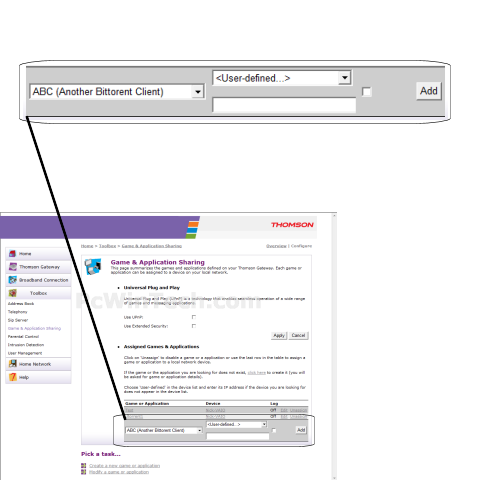 For 'Protocol' Choose 'TCP' or 'UDP' depending on which you need to use. For 'Port Range' enter the ports to be forwarded. 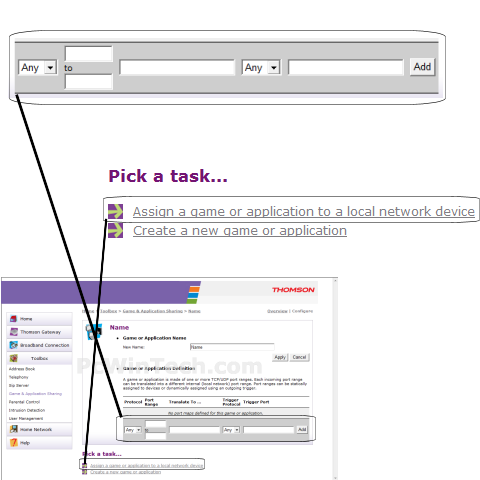 Once you have entered all the ports for this entry click 'Assign a game or application to a local network device'. In the "Game or Application" list, choose the name of the new rule you created.